The pituitary gland, also called the “master gland,” controls and regulates numerous other endocrine glands located throughout the body. This small gland is located in the center of the brain. A pituitary gland disorder can affect multiple body systems. The pituitary gland is composed of two parts, the anterior lobe and the posterior lobe. Each lobe is responsible for the production of several hormones. The anterior lobe produces the two gonadotropins, follicle stimulating hormone (FSH) and luteinizing hormone (LH), prolactin (PRL), growth hormone (GH), adrenocorticotropic hormone (ACTH), and thyroid stimulating hormone (TSH). The posterior pituitary stores oxytocin and vasopressin/antidiuretic hormone (ADH), both of which are produced in the hypothalamus. These hormones act on specific glands/organs located throughout the body to direct end organ hormone production. In women FSH and LH stimulate the ovaries to produce estrogen/progesterone in a cyclical manner, regulating the menstrual cycle. In men, FSH and LH regulate the testicles which lead to testosterone and sperm production. The role of PRL is largely unknown in men; however, in women, it acts on mammary tissue to allow lactation following childbirth. GH, present in both adults and children has a variety of roles by acting both directly on tissues or via production of insulin-like growth factor 1 (IGF-1) made in the liver. In children, GH stimulates growth of the bones and soft tissues to promote linear growth. In adults, the role of growth hormone is less critical than in children but affects body composition, bone density, exercise performance, insulin and glucose metabolism, and energy. ACTH stimulates the adrenal cortex to produce cortisol and adrenal androgens. Finally, TSH acts on the thyroid gland to regulate production of thyroid hormone. 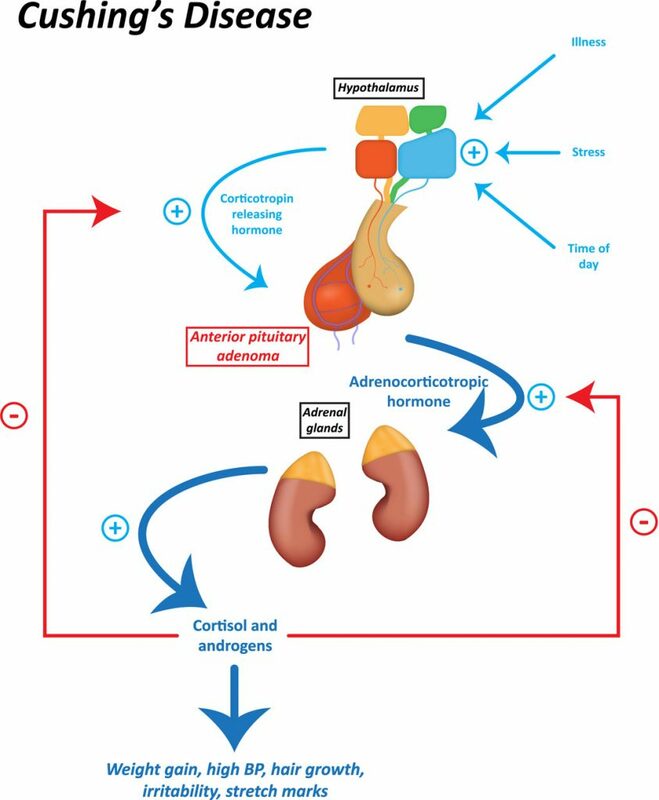 The posterior pituitary hormone ADH acts on the kidney to promote water reabsorption. Oxytocin, also made in the posterior pituitary, stimulates the breast and uterus to aid with both lactation and childbirth. Hypopituitarism occurs when the pituitary gland does not produce enough of one or more of its hormones. Causes of hypopituitarism can include pituitary tumors or pituitary damage from infection, trauma, surgery, or radiation. In addition, some medications may affect the ability of the pituitary to produce its hormones. The clinical presentation of hypopituitarism may be sudden or gradual, and the severity can vary widely depending on the extent of the damage and the hormones affected. Treatment for hypopituitarism involves medication to replace the missing hormones. The endocrinologists at Endocrine Associates of Dallas and Plano are able to provide stimulation testing to diagnose a pituitary deficiency. Stimulation testing is most often needed to diagnose adrenal insufficiency or growth hormone deficiency. Our endocrinologists have participated in growth hormone studies to assist in the development of new treatments and provide safety information in the medications used. For the safety and prompt treatment of our patients with hypopituitarism, wearing a medic alert ID, having injectable solucortef and having emergency instructions are essential. Many pituitary gland disorders are caused by benign tumors of the gland called adenomas. Adenomas do not spread to other areas of the body but can grow and cause pressure on the pituitary gland and other nearby structures such as the optic nerves. In the case of large tumors, symptoms can be caused by “mass effect” and include headaches and vision loss which is usually peripheral. Pituitary tumors may be “functional” or “nonfunctional” depending on whether they produce excess amounts of pituitary hormones. In contrast, nonfunctional tumors may interfere with the ability of the gland to make normal amounts of pituitary hormones. In addition to symptoms present due to mass effect, patients may have symptoms of hypopituitarism (Adrenal insufficiency and Hypothyroidism are covered in the Adrenal and Thyroid sections). Functional tumors most often produce only one pituitary hormone in excess, and the most common types are described in further detail below. Depending on its size and effect on pituitary hormone production, a nonfunctional pituitary tumor may be observed over time with magnetic resonance imaging (MRI) at regular intervals or surgically resected by an experienced neurosurgeon. The endocrinologists at Endocrine Associates of Dallas and Plano collaborate with several pituitary neurosurgeons to ensure the best care of our patients. 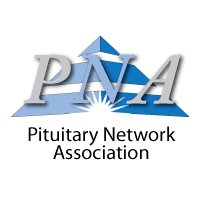 When a pituitary adenoma produces prolactin (PRL) in excess, it is deemed a “prolactinoma.” This is a very common type of pituitary tumor and is unique in that it is most often treated with medication rather than surgery. Premenopausal women may with this condition typically note that they stop having periods. In addition, they may notice spontaneous milk production from the breasts, a problem called “galactorrhea.” Postmenopausal women and men rarely have galactorrhea and instead may present with symptoms of mass effect such as headaches and visual field loss. Men will sometimes note decreased libido and sexual function. Under normal circumstances, prolactin production is regulated by dopamine, a neurotransmitter produced in the brain. Dopamine works to slow the production of prolactin. When a prolactinoma is present, medications that work similarly to dopamine are used to decrease the production of prolactin. In addition, these medications will cause the prolactinoma to shrink in size, rendering surgical resection unnecessary in the vast majority of cases. Examples of medications used in this setting are cabergoline and bromocriptine. Acromegaly is a rare pituitary disorder in which a pituitary adenoma produces an excessive amount of growth hormone. When this occurs in an adult, it is termed acromegaly; however, in children, this results in gigantism. Signs of acromegaly in adults include enlarging hands and feet, widely spaced teeth, thick lips, prominence of the forehead and jaw, and coarse facial features. Adults will not gain excess height, as the growth plates close at the time of puberty. In addition to the physical changes noted by adults with acromegaly, they may experience headaches, accelerated arthritis, glucose intolerance or diabetes, and excessive sweating. When acromegaly is suspected, blood levels of growth hormone and insulin-like growth factor 1 may be measured. In more subtle cases, a glucose tolerance test may be performed in our office to confirm the presence of disease. MRI is used to anatomically define the extent of the tumor. Most cases of acromegaly are treated with surgical resection by and experienced pituitary neurosurgeon. However, it may not be possible for a surgeon to completely resect a GH producing tumor, depending on the extent of invasion. If residual tumor is present and GH levels remain uncontrolled, radiation therapy or medications prescribed by an endocrinologist can be considered. 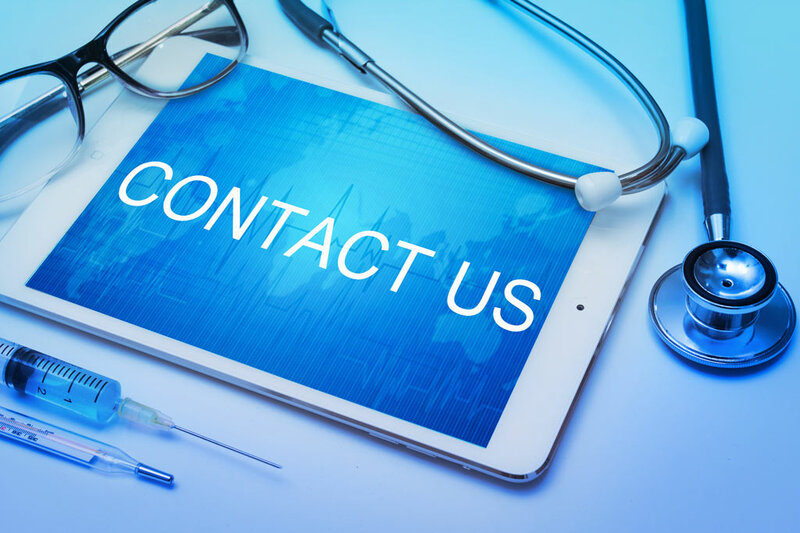 At Endocrine Associates of Dallas and Plano, we have experience treating patients with somatostatin, lanreotide, and pegvisomant. Cabergoline may also be considered in some cases. Cushing’s disease occurs when a pituitary adenoma causes the gland to overproduce adrenocorticotropic hormone (ACTH). This overproduction causes the adrenal glands to secrete too much cortisol. While the end result is an elevated level of cortisol (hypercortisolism) as seen with adrenal disease, Cushing’s disease refers specifically to hypercortisolism caused by an ACTH-secreting pituitary tumor. Cushing’s syndrome refers to hypercortisolism of any cause. Examples of the syndrome include adrenal Cushing’s and exogenous steroid use. The clinical evaluation of Cushing’s syndrome is complex and often requires several different dynamic endocrine tests to establish the diagnosis. Examples of the required testing include dexamethasone suppression testing, 24 hour urine collection for cortisol, and midnight salivary cortisol testing. Serum ACTH levels are used to determine the source of hypercortisolism. Endocrine Associates of Dallas and Plano are able to provide this necessary testing for patients. Prior to consideration of surgical resection, MRI is used to define tumor anatomy. In some cases, a minimally invasive procedure called bilateral inferior petrosal sinus sampling may be needed to localize the source of the hypercortisolism. This particular test is performed in highly specialized interventional radiology centers. Like acromegaly, first line treatment of Cushing’s syndrome is surgical resection by an experienced neurosurgeon. Unfortunately, Cushing’s disease has a high rate of residual disease and/or recurrence. In these circumstances, repeat surgery, radiation therapy, medications, or bilateral adrenalectomy may be used to control the hypercortisolism. This treatment requires a team approach which may involve an endocrinologist, neurosurgeon, adrenal surgeon, and/or a radiation oncologist. Our endocrinologists have established excellent rapport with multiple physicians in Dallas and Plano experienced in the care of Cushing’s patients. We are comfortable utilizing medications such as mifepristone, pasireotide, fluconazole, cabergoline, metyrapone, and mitotane. Central diabetes insipidus (DI) is a pituitary gland disorder (not associated with type 1 or type 2 diabetes) characterized by partial or complete absence of vasopressin/antidiuretic hormone (ADH) production. This results in excessive urination (polyuria) and intense thirst (polydipsia) due to an imbalance of water in the body. Often this results from disease located in the hypothalamus, the area of the brain responsible for ADH production. Treatment of central diabetes is with the medication desmopressin (synthetic antidiuretic hormone). It may be administered by pill, injection, or nasal spray. Traumatic brain injury can damage the pituitary gland, as well, and result in a pituitary gland disorder. Often pituitary dysfunction can present 10-15 years after the initial brain injury. The physicians at Endocrine Associates of Dallas and Plano have the ability to diagnose and care for patients with pituitary disease. It is our passion to provide comprehensive treatment for our pituitary patients. If you have a pituitary disorder, we welcome the opportunity to care for you. 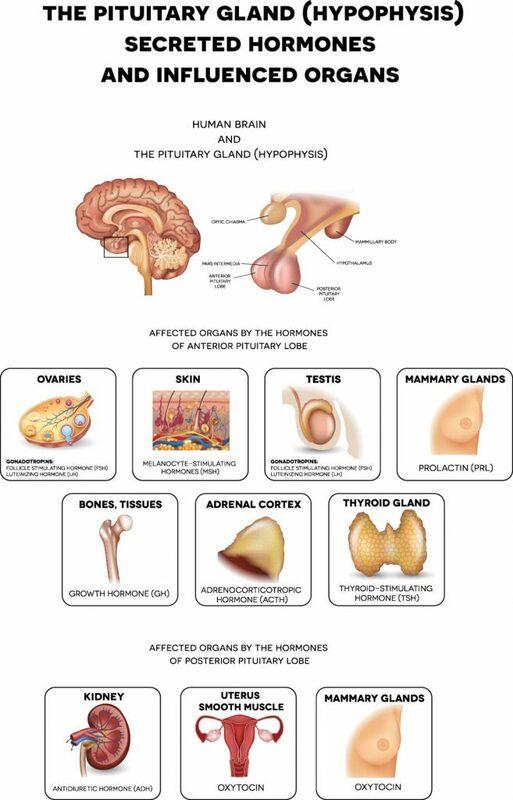 Learn more about pituitary gland disorders at Pituitary.org. If you have symptoms of or have been diagnosed with a pituitary gland disorder, please ask your primary care doctor for a referral to an endocrinologist at the Endocrinology Associates of Dallas (EAD) and Plano.